IKSVV Admission 2019 – Indira Kala Sangit Vishwavidyalaya releases notification for admission to the various Certificate, Diploma, P.G. Diploma, Under Graduate, Post Graduate, Ph.D. and D.Lit programmes. The complete detail of IKSVV Admission for the various course such as application form, eligibility criteria, course offered etc. are given below. Latest: Notice for Ph.D Entrance Test & D.Litt Research Interview for session 2018 – 19 have been released. Scroll down to check the same. Academic Session 2019 of Indira Kala Sangit Vishwavidyalaya, Khairagarh will be started as per the schedule date. Choice Based Credit System (C.B.C.S.) and Grading will be adopted in all at Under Graduated Level programmes. University has released the entrance exam and interview date regarding Ph.D and D.Litt admission for the session 2018-19. Schedule for the IKSVV Admission 2019 is given below. Schedule and Notice for the IKSVV Ph.D Entrance Test & D.Litt Research Admission 2018-19 is given below. Admission Form will be available at the University and application will be different for Indian students and for foreign/NRI students which will be paid through DD or Cheque in favour of the Registrar, India Kala Sangit Vishwavidyalaya payable at Khairagarh. Candidates will also be able to download the Application form of IKSVV Admission 2019 on the official website at www.iksv.ac.in or through the direct link, which will be provided below. Application Form: Application Form will be available on the official website i.e. www.iksv.ac.in. Dully filled admission form with all necessary documents should reach the University Teaching Department. 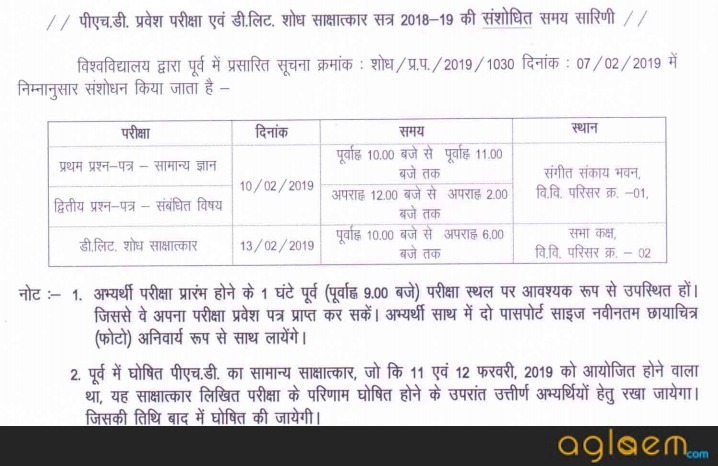 The above dates will also be applicable for M.Phil Students Student are eligible for further relaxation after obtaining special permission from the vice-chancellor. Students have to produce original certificates to be verified at the time of aptitude test. Self-Attested photocopies of mark-sheets and certificates of qualifying examinations. Self-Attested Proof of date of birth. In case of gap(s) between two sessions, an affidavit from a competent authority is required. Applicants seeking admission under reserved category must submit a latest certificate from the competent authority in support of their claim. Transfer certificate must be submitted in original at the time of admission. On the recommendation from the head of the department, a period of one month will be given to submit the migration certificate. Domical Certificate (Adhar Card, Voter I.D., Certificate of issued by competent Authority). The entire fees should be paid by the student at the University in Indian currency only through cheque or cashless mode in favour of Registrar, Indira Kala Sangit Vishwavidyalaya payable at Khairgarh. Link for fee payment is available on university website. 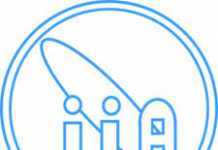 www.iksv.ac.in (online fee payment). The tuition fee, admission fee & other fee will be double for foreign/NRI students. Caution money is refundable after appropriate deduction at the end of the course. If any student fails to complete his/her course in two academic sessions then in such case concern student has to pay full fee a fresh for the next session to continue the respective course. 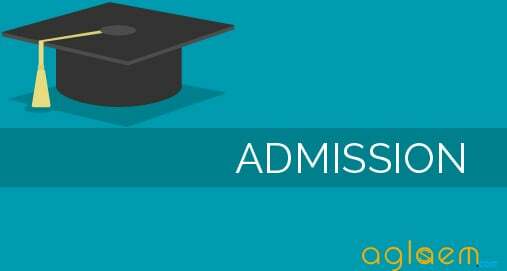 Decision about the admission on payment seat will be taken by the Vice chancellor on the recommendation of admission committee. For More Detail Regarding IKSVV Admission Check Information Brochure of 2018 – Hindi Version | English Version. Insofar, Only details regarding admission in Ph.D and D.Litt in IKSVV admission for the session 2018-19 has been announced. Rest of the information on this page is as per the last year details. As sson as the conducting body will release rest of the information the same will be updated here.